Heading into week 10 some fantasy owners should now have the playoffs in their sights. The wide receiver position is affected by injury, but unlike running back most of the big names are still standing. A few roster tweaks and teams with these heavy hitters will be ready to make their run to the promised land. 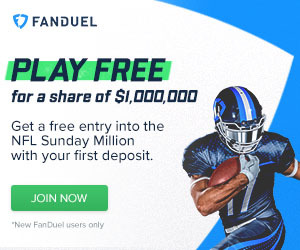 This article will help to decide which receivers could be the missing piece of a championship team and which got lucky for a week. Dwayne Harris was shut down to the tune of 1 reception for 1 yard. That is the trouble with not being the first option in an offense. Aiken still looks like the Ravens receiver to own for the rest of the year. Austin showed no signs that he will slow down in the second half. Washington was off, but hopefully you grabbed him if he was available. Beasley had a huge performance after being largely silent for a few weeks. As Matt Cassel gets comfortable, he should key in on favorite receivers and it seems like Beasley has the opportunity to be one of those. The presence of Dez Bryant should open things up a bit in the opposing defenses and give Beasley room to operate. Although Terrance Williams is still on the field, he is more of a deep threat and that is not Cassel’s game. At least until Romo returns Beasley should be a decent roll of the dice play. 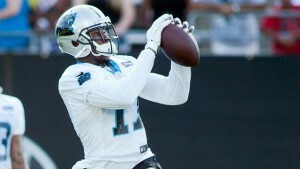 Funchess may be getting to the point that he should be on your roster. In redraft leagues, this has the feel of a wait and see type guy. On the other hand, he is probably going to be picked up by someone in your league after last week’s performance. My recommendation is to be the guy who picks him up and then you can wait and see while he is on your roster. Funchess has the ability to be a game changer, but it has not yet manifested in a game. Hopefully last week will be a building block to future success and Funchess can be someone that will help your team down the stretch. This may seems like a strange recommendation as he failed to catch a pass in the game versus Miami. Woods is the undisputed number two receiver on the Bills and he should see a large volume of opportunities in the second half of the season. He has had productive games this season and with a few likely shootouts left on the schedule, he could be a decent fill in or injury replacement. Cruz sounds like he is targeting a return following the Giants week 11 bye and he will step into a busy passing game. Randle and Harris have both failed to be consistent replacements for Cruz and if he has anything left in the tank he could be a valuable commodity. If you have a bench spot and are wondering what to do with it, you could find a worse use than stashing Cruz.